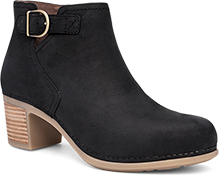 The Dansko Black Nubuck from the Sheena collection. 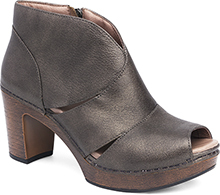 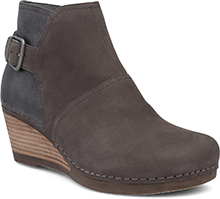 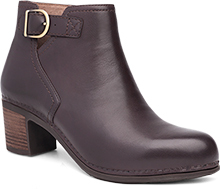 Outfitted with an inside zipper for easy on/off, this boot looks best when paired with leggings and tights. 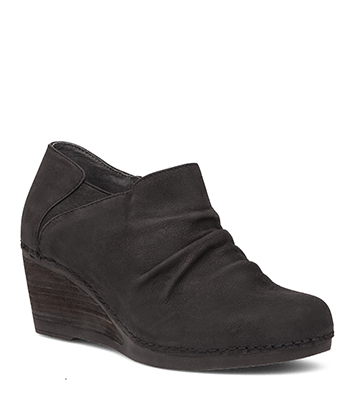 Ruching adds unexpected style.